Earlier this year I finally decided to jump on the face masks train and get some reasonably priced face masks. At the time I was kinda dealing with less than exciting skin, so I was excited to try something new to hopefully improve upon the skin I had. 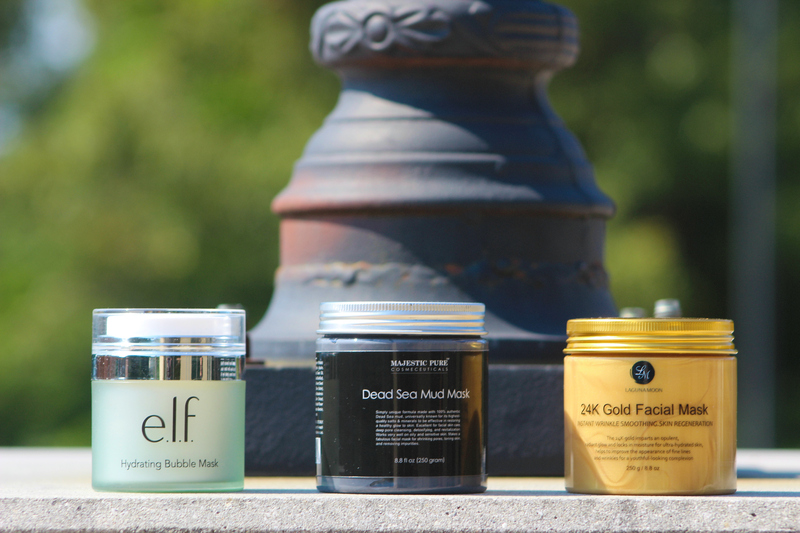 Today I wanted to share three of the face masks I reach for time and time again, and the best part? They are all well under $20! This mask was the first mask I ever purchased. I was excited to try out the mask because I love all things ELF Cosmetics. This mask was extremely cost-effective compared to other masks I’d seen on the market when I was looking for a face mask. This is a light mask that I use when I want something that will freshen my face and clear it up. 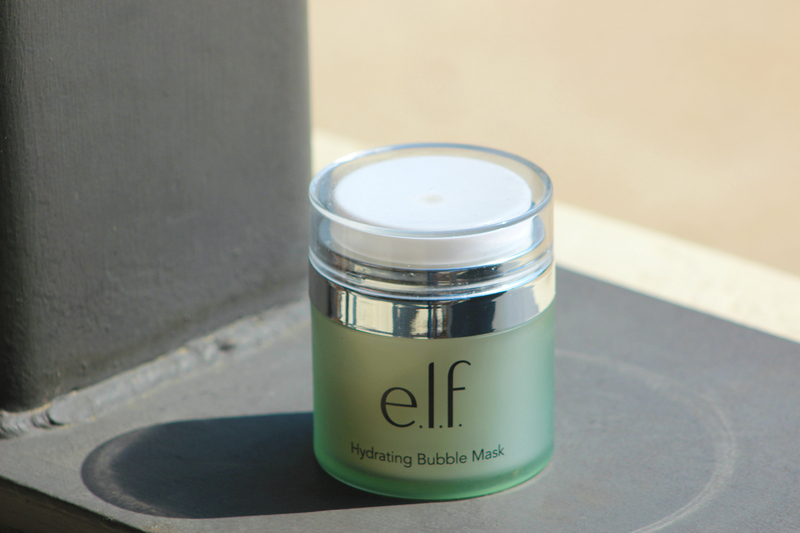 It’s a face mask that will tickle your skin as the bubbles work their magic. Some people have said that it burns, but I have tried this mask several times, and it has never burned my skin, but it will make you want to scratch your face some. Overall, I think that this is a great mask to have in your mask inventory. You can also try ELF’s other bubble masks like their Mattifying Bubble Mask or their Clarifying Charcoal Bubble Mask. I think my biggest issue with this mask is the pump and the fact that it’s hard to distribute this mask properly. The pump is not the most fantastic thing, but you can unscrew the top and get the product directly from the jar. 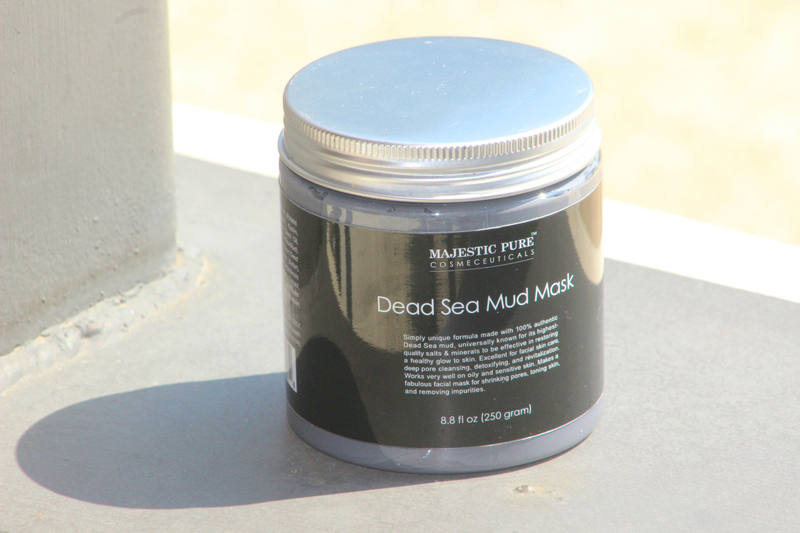 This face mask is one of the most abrasive of the ones I am sharing today, and it’s also the thickest on your skin, but it’s a lovely mud mask that gets in your pores to clean them out. One of my favorite things about this face mask is, because it’s so thick, a little goes a long way. I will easily get a ton of uses out of this face mask over the next few months, especially since I rotate between a few different types of face masks. It does burn a bit, but nothing so bad that the mask hurts and makes you uncomfortable, but compared to the other masks I recommend on today’s post, you are going to be able to see a difference with this one. It’s also a tad bit drying. Overall, I think this one works because of the result of a super clean face and cleared out pores. Pair this with some unscented lotion on your face afterward, and you will have the perfect combination and face. My biggest issue with this face mask is that it can be a little bit harsh sometimes and a tad bit drying. This one has some mixed reviews on Amazon, but when I used it, I liked it. In my opinion, it’s a great mask. Some people have complained that it burns, but honestly, I don’t notice any burning when I use this particular mask. My face feels a little wet and every blue moon I will get an itch, but never a burn. Each face mask works differently on everyone, so when you get a face mask, understand that you may react negatively to it. When I take this face mask off, my skin feels so soft and smooth. Also, this face mask is so fun to put on because of how gold it is, you may or may not feel pretty luxurious when you put this mask on, even though it’s less than $15. My biggest issue with this face mask is the consistency. I feel like I will run through this face mask the quickest because it is so loose. It’s not watery, but my other face masks are more solid. I feel like I haven’t made a dent in my other masks, but this one seems to be dwindling quicker with only a few uses. There you have it, folks! 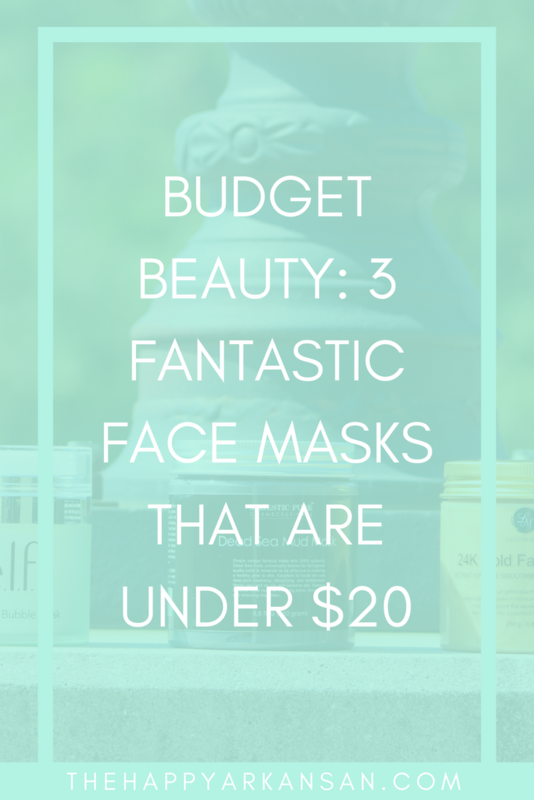 Those are my three favorite face masks, and they are all under $20. Could you do any better than that? I am not about spending hundreds of dollars on face masks if cheaper ones can work too. I like having these face masks in my beauty rotation, and I hope you found a new fave face mask to try today! 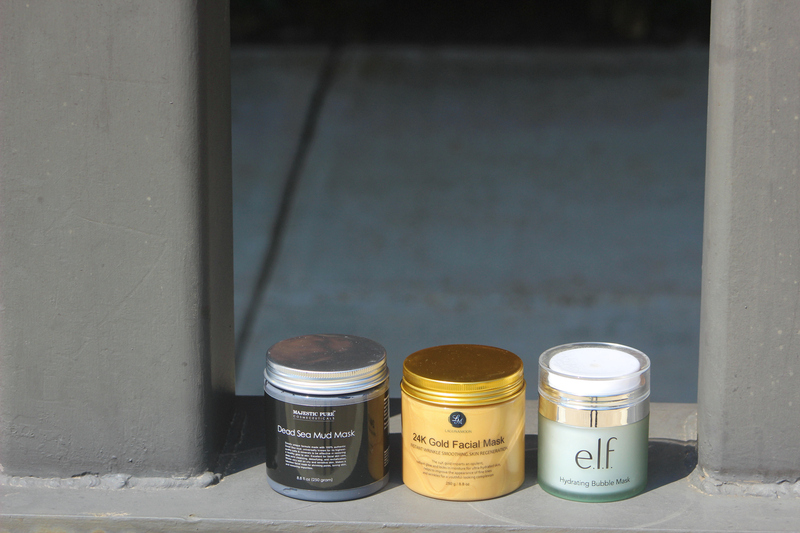 What are your favorite budget-friendly face masks? 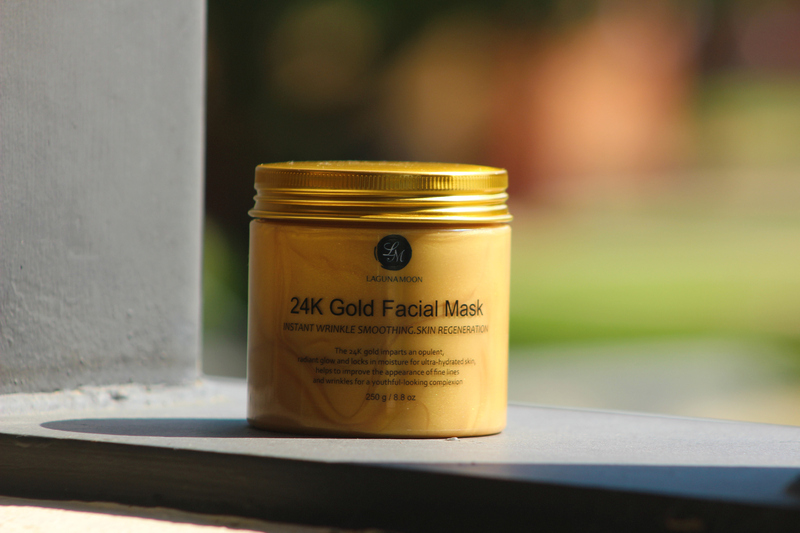 Omg I definitely want to try the gold mask!! Great post babe! Gotta love a good face mask! I’ve been going with the paper masks sold individually. I love the selection at Target! I may have to try one of these. I Was Featured On The Offbeat Grad Podcast!